On the good days, the bad days, and the days you’ll remember for the rest of your life, there is usually one thing in common. Rather it be background noise, a full on soundtrack, or a little carpool karaoke, music slips into our lives everyday and contributes to the way we hold on to memories. When you’re sitting in a room full of people, at least a handful of the crowd would say that music on it’s own has created a memory that will go down as the best day of their life. Experiencing live music leaves a lasting impression like no other, and forever changes the way you feel about a certain tune, venue, or band. Today, the live music scene grows bigger and bolder, with a new modern wave of music festivals is becoming the next biggest trend. In April, one of the largest music in the world, Coachella Valley Music Festival, happened in California’s Palm Desert, attracting over 400,000 people 2 weekends in a row, including myself. The draw to be a part of the magic took over the brains of ticketholders for the 10 months they knew they would be attending the magical desert trip. Coachella is the festival of the elite, where siting celebrities, from the Kardashian’s to YouTubers, is just part of the normal daily excursions. With something this popular, getting tickets isn’t the easiest. Snagging tickets is something that has to be taken very seriously, as they sell out in a matter of hours. Tickets go on sale before the lineup of the festival is released, which is a tactic that many other festivals do as well in order gain attention and speculation from the press and attendees. Once the lineup is uncovered, they amount of people who will hunt down scalpers, or people who buy tickets and try to sell them for a outrageous markup, in order to get in on the action. Radiohead, Beyoncé, and Kendrick Lamar were the original headliners for the 2017 festival, but unfortunately Beyoncé had to step away due to the fact that she’s pregnant with twins. Many fans of the Queen Bee were disappointed in her departure, but others, including myself, were pleased to see that Lady Gaga would be stepping in her spot on the Saturday night headlining spot. With world renowned acts coming together all in one place, the draw to the desert stages left people fighting for a spot in the action. When you see a artist you love announce a performance or a festival appearance, you automatically want to jump in a car, bus, plane or train in order to see them perform, even if it’s just for forty five minuets and you are all the way in the back. There is something magical about live music that leaves people wanting to come back for more. Mark, an employee at the Lake Sumter Book Store, said that the production of sound and the feeling you get when you heard your favorite song is unforgettable. Zach, who provides security at the Lake Sumter Campus, said that maybe his best day ever would have been seeing his favorite band, Tool, live at a festival in Orlando. He notes that the energy you feel when everyone around you is signing along and has the same love for the band that you do, then that moment is unbeatable. My favorite memory is seeing my Vampire Weekend at a music festival a few years back, and I would say that Coachella is coming up on a close second to that memory. Memories made with a connection to music become everlasting and live on in your heart forever. So imagine being reminded of that moment where you look up and see the artists that have changed the way you live your life. These songs and bands have made all of your awful and good days better, and being able to take a moment to personally reflect on those moments, all while standing in a field with thousands of other people who feel the same way is life changing. Festivals are the future of live music. Being able to sell out venues is becoming difficult, and getting on the roaster for a festival is more convenient. 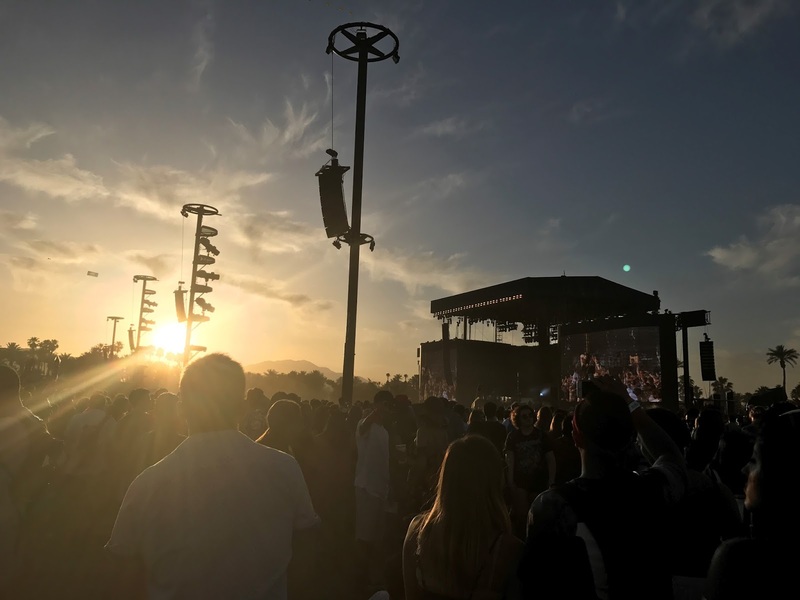 According to Katie Nguyen, a talent booker for major festivals across the nation, headliners for these major festivals can make a few hundred thousand dollars for a 75 minuet timeslot, and second level performers can earn around seventy five thousand dollars for their performances. These prices are too good for most artists to pass up on, which leads to a lineup full of talent from all different genres. As a college student, I want to live this period of my life to the fullest. I think that being able to make memories and live out great experiences is the best part of life, and attending a music festival with a few old friends, and making a few new ones is an experience like no other. 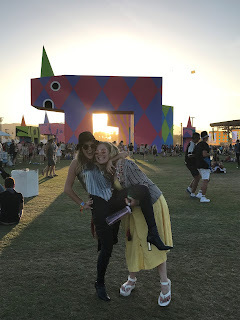 After attending Coachella, I want to spread the word on the magic that it creates, around the festival and inside myself. I want the people my age to go and see all the beauty that comes along with music. Being able to engage with others and create bonds that you will carry for life is one of the most beautiful things we are granted as humans. So next time you see that artist you love performing at a festival that’s a few states away, take the challenge and make it happen. Grab some friends, a tent, and your dancing shoes, forget about work and school, listen to some tunes, and change the way you live forever.